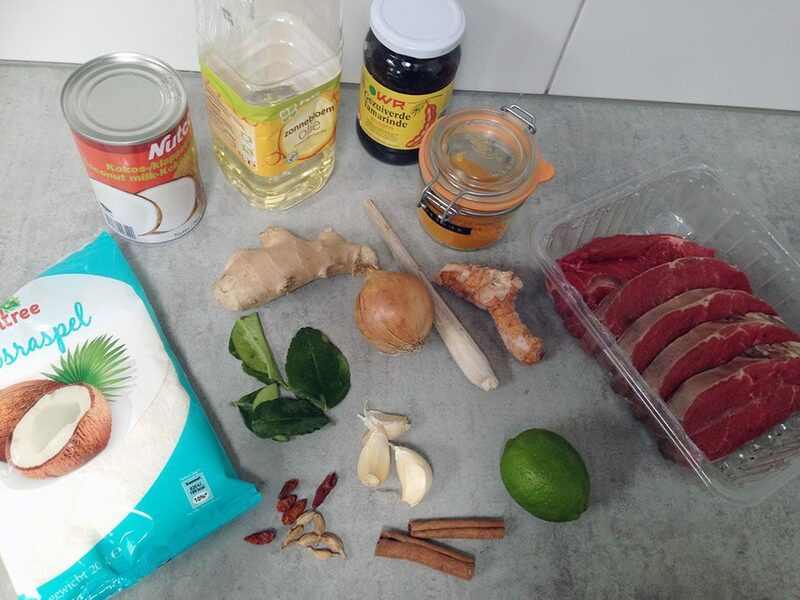 Making your own Indonesian rendang isn't as hard as it may seem! 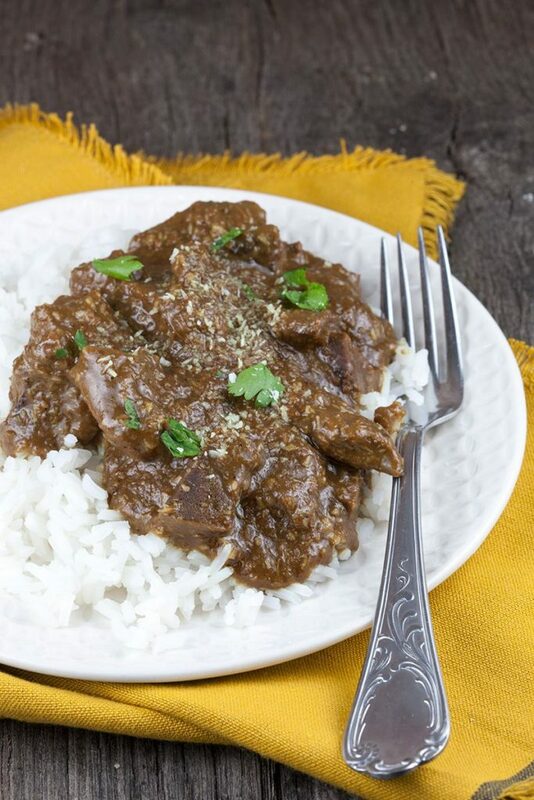 It's a delicious beef stew with lime, coocnut and a lot of herbs. SLICE the beefsteak into smaller chunks. PEEL the onion and cloves of garlic, then very finely slice them. PEEL the fresh ginger root and grate. You use a tablespoon for easy removal of the outer layer of the ginger root. SOAK the red dried chili peppers in some hot water. BRUISE the lemon grass stem and slice the laos into two pieces to release more flavors into the dish. HEAT up sunflower oil into a heavy bottomed pan. ADD in beefsteak chunks, cook until browned. ADD in onion and garlic. COOK for another few minutes on medium-high heat. ADD cumin, cardamom pods, cinnamon, kaffir leaves, juice + zest from 1/2 lime, grated ginger, lemon grass stem, laos and coconut milk. TURN the heat down to low, place the lid on the heavy bottomed pan and let simmer for 30 minutes. Check every now and then to see if there is enough moisture in the pan, if not add some. SLICE the soaked red chili peppers into small pieces, add it along with the water into the pan. 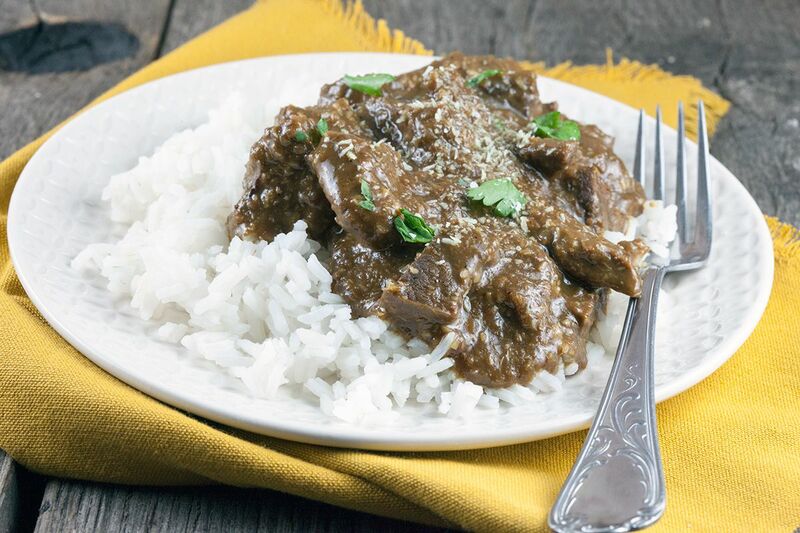 REMOVE the cardamom pods, cinnamon, kaffir leaves, lemon grass stem and laos after one hour of cooking. STIR in the tamarind pasta, let simmer for another 30 minutes. CHECK if the meat has become very tender, if it is it’s ready to be eaten! 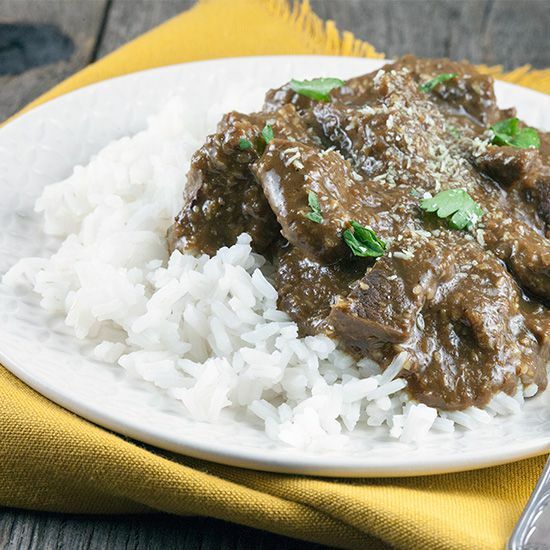 Serve this delicious Indonesian rendang with plain cooked rice, a salad or these oriental green beans. Enjoy your meal!